Call 1.800.690.5234 (24 hours a day), or download and mail in our donation form. Miranda Esmonde-White reveals the amazing clout of your connective tissue. This vital tissue surrounds every part of us and connects every muscle, nerve, cell, bone and organ. 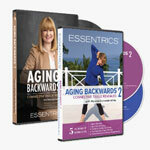 Keeping it healthy is the secret to remaining youthful at any age. 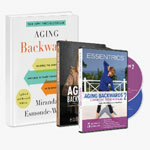 The human body is a powerful machine, but we must choose to keep it young. 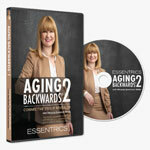 - DVD of program - Aging Backwards 2: Connective Tissue Revealed with Miranda Esmonde-White. Includes bonus material not seen in the program.